Managed hosting provider SingleHop has expanded its footprint with 10,000 square feet of colocation space at ServerCentral's facility in Elk Grove Village, Illinois. 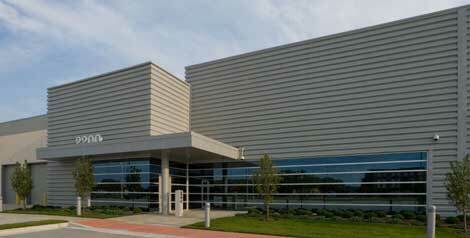 The DuPont Fabros CH1 facility, where SingleHop has leased space from ServerCentral. Managed hosting provider SingleHop has expanded its footprint within ServerCentral's 10,000 square feet of colocation space in Elk Grove Village, Illinois. SingleHop says it entered into a $2.5 million agreement with ServerCentral, which is a tenant in the DuPont Fabros Technology CH1 data center. The new space can support power densities of 12 kilowatts per cabinet (210 watts per square foot). Its the second data center for SingleHop, which also operates a facility in downtown Chicago housing 2,000 servers. SingleHop was founded in 2006 by Chicago entrepreneurs Dan Ushman and Zak Boca and says it has annual revenue of $4.5 million. "The additional space enables geographic redundancy and disaster recovery capabilities," said Brandon Ewing, SingleHop's Senior Network Engineer. "Customers will benefit as they have more room for growth and more options for redundancy. The new data center gives SingleHop a platform from which to continue heavily investing in a wide and robust network both at our original data center and the new facility." Boca said the data center's capabilities would boost SingleHop's business. "This facility wasn't refit, or re-engineered," he said. "It was built entirely from the ground up to anticipate high server density. It allows for our company to use all of our space, and power. With 48U cabinets and the ability to more than adequately handle 12KW per cab, we'll waste less money and resources, which in turn will keep our clients from paying for inefficiencies." "The combination of DuPont Fabros' top-notch facility and our onsite staff's expertise in hosting infrastructure give SingleHop a decided advantage in the Chicago market," said Jordan Lowe, President and CEO of ServerCentral.